Click-Per-Action networks are places where you can go to sign up to promote various offers. Every time you find somebody who clicks through to the offer, you get paid. It’s an easy and fast way to make money with online marketing. 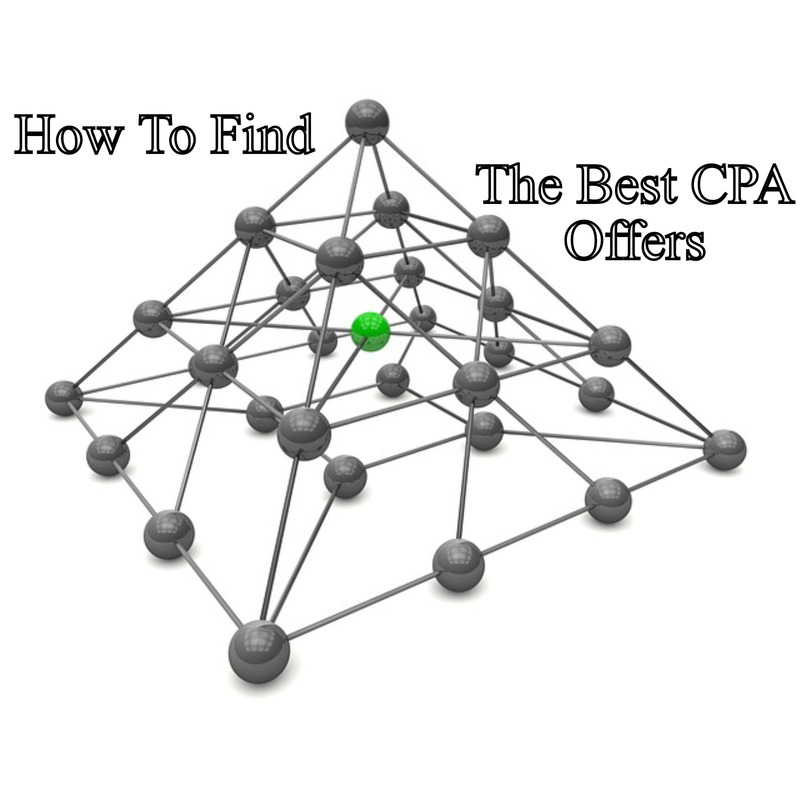 One of the easiest ways to promote CPA offers is through social media, such as Twitter. You don’t even need to use your own Twitter account or promote these offers to your own followers. It’s far easier simply to buy sponsored Tweets from established Twitter account owners who already have thousands of followers. After you buy your sponsored Tweet let’s assume it costs you $25, which is pretty much the going rate your next step is to find a good CPA offer. Here’s an example of how to do this effectively for most profits. Let’s say you find an offer from a CPA network that has an Estimated Payout per Click (EPC) of $.103, or 10 cents. Plus, the CPA network pays you $1.30 per email address you send them. Based on experience, this type of offer will give you an average conversion rate of 10 % to 15 % Click-Through Rate (CTR). In this instance, for the $25 investment you made in your sponsored Tweet, you got 100 clicks and converted 10 of them. You made $13, which means you lost $12– which is obviously not a desirable outcome. If you got 200 clicks from your sponsored Tweet, you made $26, or a profit of $1. With 300, make $39, or a profit of $14. You can see the value of scaling up your offer. Depending on how many followers the person you buy the sponsored Tweet from, you can easily get 1,000 clicks as long as the offer matches the demographic of the Twitter account. To see how this works in the real world, let’s consider a popular niche such as online gaming. A quick search on Twitter will find you somebody with a popular Twitter account who caters to this niche. Assume this person has more than 31,000 followers and is only asking $25 for a sponsored Tweet again, not outside the realm of possibility. Even if your CTR is 1 %, that’s still 320 clicks, which is pretty great. “Play the latest games on your new iPad3: USA iPad3 testers wanted!”. This Tweet has the dual benefit of appealing to the online gamers who follow this account and weeding out those people who don’t live in the US, as many CPA offers will only pay for US email addresses. Ask your affiliate manager if they have a list of the best converting email/zip submit offers if you are using this system to promote affiliate products. A lot of times, they already have the copy for you. All you need to do is send it to the person selling the sponsored Tweet! This same online gaming Twitter account could be used to promote gambling site affiliate products. Find one, get the swipe copy, send it to the Twitter account owner and start making money! The first step is to shorten the URL you are directing prospect to. Otherwise, it won’t fit in the Tweet because Twitter limits you to 140 characters for each. You can easily do this by going to www.bit.ly. Your Tweets have to be social and short. And it’s critical that you make sure people know that some action is required from them:. “This sick website trades your email for a test iPad3 … OMG!”. In this example, the reader knows they have to give their email address if they want a chance to get the free iPad. You simply send your Tweet to the Twitter account owner, click on the “Purchase” button and your Tweet will be reviewed. In some cases, they may reject it if it is super spammy, but if you keep it ethical, keep it social and really direct it at your intended target audience, you shouldn’t have any problems.